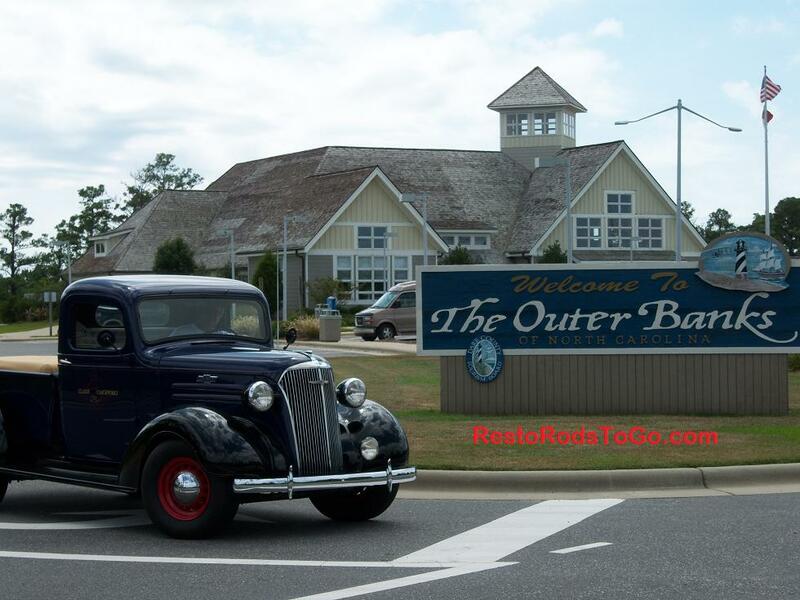 My 1937 Chevrolet Pickup Truck and I made the trip from Seattle Washington area to the Outer Banks of North Carolina and back in August and Sept of 07. This was a solo trip. The most modern mechanical part of my truck is the 1960 235ci inline six truck engine. The rest of the running gear, and steering etc is 1941 Chevrolet truck. It does have a R-10 Borg Warner overdrive spliced into the torque tube, that was removed from an early 60's Rambler transmission. The 37 is still equipped with 6 volt system but has been upgraded to 1941 as well. The advancements that were made in those few years were quite amazing. The brakes are basically the same as 37 and they work great. In fact, I can apply brakes at 50mph, hard with hands off the steering wheel! The brakes will lock too, so I am mystified why everyone thinks that they need disc brakes. Mine don't chatter!! Cruising at the 70mph speed limit in 100 degree temperature was no problem either. I did experience vapor lock when stopping at the rest stops, so when I stopped, I lifted the hood and allowed the air to flow through. That solved the problem. 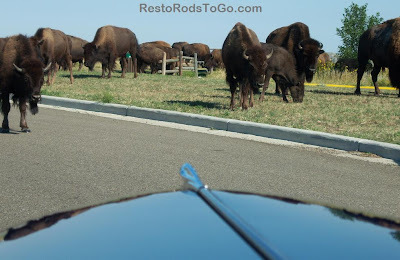 At one point in North Dakota when I pulled into a rest stop, I ended up driving through a herd of Buffalo. After parking, I found out that they do ram vehicles and charge people. Oops. Well they must have thought my truck looked like one of them cause they didn't ram it. There was a lot of picture taking along the way when people would drive up along side, going down the freeway, so they could get an image on their camera. I had never driven across country before, so there was a lot for me to take in, on the journey. I don't think there could be a more enjoyable way to make the trip. I spent a couple hours at the Indianapolis Motor Speedway, and got a lot of pictures of the vintage race cars in the museum. They wouldn't let me take my 37 Chevy around the track, but we did make the tour in a bus. Being a pilot myself, Kitty Hawk and the museum there was another wonderful highlight of the trip.